Windows Desktop Applications still serve the majority of the world wide users (although mobile phones are quickly gaining ground). 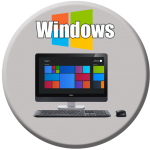 AppForce.One can develop Windows Desktop Applications made available through an easy installer. That way you control distribution. Using cross platform developers tools, AppForce.One can easily port your Windows Application to Mac, saving greatly on development time and costs. Using the same source code and minor platform adjustments, a Windows App can become a Mac App very quickly. If you have a need for a specific software solution quickly, please contact us and we will discuss the possibilities.